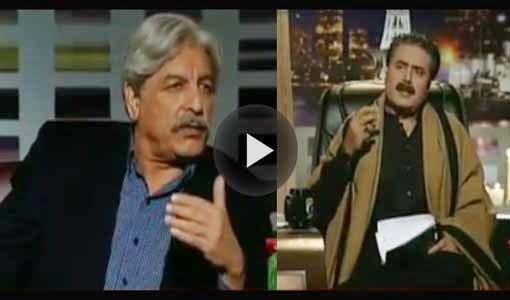 Khabar Naak Latest Full Episode 18th December 2014, Watch Geo News Khabar Naak Latest Full Episode 18th December 2014. Masood Sharif Khan Khattak Former DG Intelligence Bureau, Wajahat Masood Analyst and Dr. Saad Bashir Malik Physiologist Experts are the chief guest of this episode. Khabar Naak is a infotainment program broadcast by Geo news TV Pakistan which is widely watched in local and international community of Pakistani's. Watch Geo news with Aftab Iqbal, Mir Muhammad Ali, Honey Albela, Saleem Albela, Mater sahib, Wajid Khan, Naseer bhai challenge, Master sahib, Roobi Anam and Sophia Mirza.